Valley sections under construction on a barrel roof that will have standing seams that run up and over the barrel. 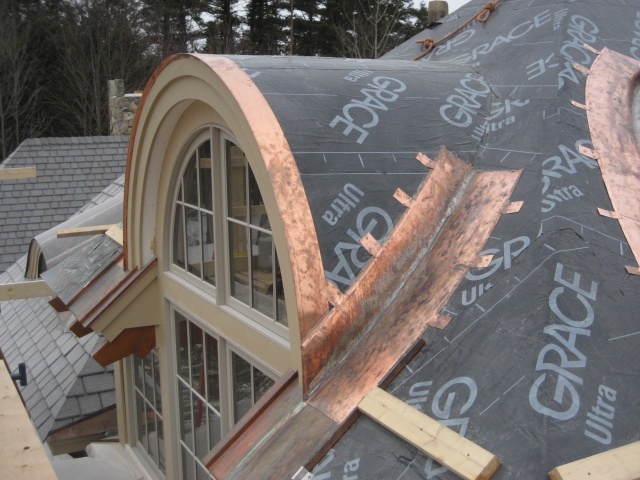 Curved drip edge is installed and the valley sections are under construction. When the valleys are complete the panels that are curved to the diameter of the barrel will be fit cut, and installed.